Portraits Of Life: Bamboo Taxi, Wanna Ride? 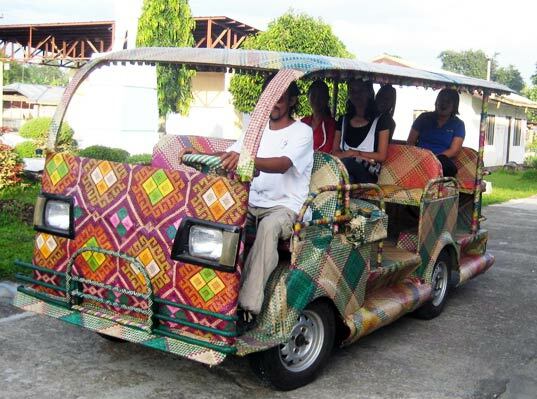 Bamboo Taxi, A Hit in Philippines! 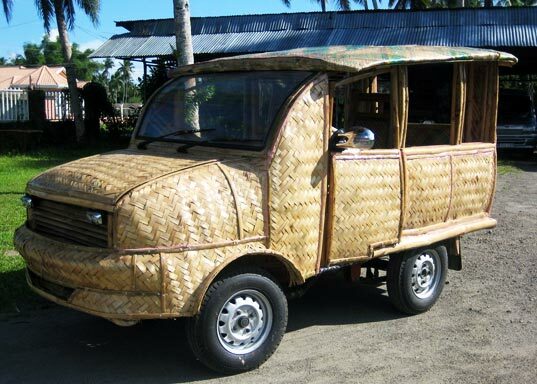 In the search for a low-cost, fuel-efficient, safe, and environmentally-friendly alternative to cars, motorcycles, and other vehicles, the mayor of a city in the Philippines recently rolled out two incredible taxis crafted from one of our favorite renewable materials – bamboo! Rustico Balderian, mayor of Tabontabon, Leyte, Philippines, has commissioned the construction of two taxis made from 90% bamboo that are powered by coconut bio-diesel – take that steel-based cars! Bamboo is an incredible material – it is rapidly renewable, environmentally friendly, and does not require a ton of processing for it to be incorporated into designs. But did you know that its tensile strength is just as good as that of steel? This remarkable strength makes bamboo a fitting and exceptionally sustainable material for Tabontabon’s new taxis. The two vehicles are called the Eco 1 and Eco 2. The Eco 1seats 20 people and can run on one gallon of bio-diesel for about 80 hours. Eco 2 works just as well, but seats around 8. Both vehicles are made by Tabontabon’s out-of-school youth, 90% of each vehicle is made out of bamboo, and they are covered in traditional Filipino woven mats called banig. Both vehicles are operating today – now if we could only get one in blue. To me, it looks tacky and I have doubts about the sturdiness and safety features for it to be a safe alternative to cars. Well, creative lang talaga ang Pinoy..